Travel with us to 60 countries! Who does not love pandas? Kim loves, loves, loves pandas and getting to see them, in China, in almost a wild setting, really was a dream come true. Here is a look at our day spent among PANDAS! Because pandas are so popular the Chengdu Research Base of Giant Panda Breeding is crowded! And on top of it, we were there during the Chinese National Holiday when almost the entire country of China has is taking a vacation. So, even we were a little taken aback with the crowds. But here is a true insider tip, don’t follow the crowds! China is a collectivist culture, in this context, it means they are followers. So, knowing this, and because Kim and I are not followers, we took a deserted side path to see where it would take us and sure enough it lead to three panda enclosures. For well over an hour we had the pandas all to ourselves. It was magical. Pandas are as cute as you think they are (almost, see below). Especially the babies. You really do want to run up and hug them. There is a chance to really do this too. You can hold a baby panda for a minute for a huge fee. I mean 1 minute. You get 60 seconds to hold a baby panda. And I mean a huge fee, about $350. Yes U.S. dollars. We did not do this and Kim is still mad at me. A few things that surprised me about pandas. 1. One thing that makes pandas so attractive to us humans is that they act a lot like us humans. They eat sitting up like they are in a chair and hold their food (bamboo shoots) just like you or I would. They can do this because they have almost opposable thumbs. Actually, it’s an extra bone in their paws which acts like an opposable thumb. 2. If you have ever seen someone in a panda suit, they actually look like pandas look. I was a bit skeptical when we saw the first panda sitting up, holding a bamboo shoot, looking just like a guy in a panda suit. I was ready to ask for a refund. 3. As cute as pandas are they have really big claws and fangs. I absolutely would not want to run into a panda in a dark alley. Viewing pandas from a safe distance – ok. Holding cuddly baby pandas – ok. Running into a panda in the wild – NO. The giant pandas are a Chinese ‘National Treasure’ and loved everywhere in the world. But there are only about 2,000 giant pandas left in the world. About 50 are located at the Chengdu Research Base of Giant Panda Breeding. Giant pandas are found only in Sichuan, Shaanxi, and Gansu provinces. About 70% are in Sichuan Province. The Chengdu Research Base of Giant Panda Breeding in not just for pandas. The base also researches and breads other rare and endangered wild animals including lesser pandas, black-necked cranes, white storks as well as over 20 species of rare animals. The black-necked cranes are straight out of a fairytale book. The Chengdu Research Base of Giant Panda Breeding is really big, 560 mus (39 hectares, 92 acres), almost all of which is green. The Chengdu Research Base of Giant Panda Breeding is unsurprisingly located in Chengdu. And Chengdu is in Sichuan. Sichuan is one of Chinas 8 regional cuisines (along with Hunan, Guangdong or Cantonese, Fujian, Zhejiang, Anhui, Jiangsu, and Shandong). 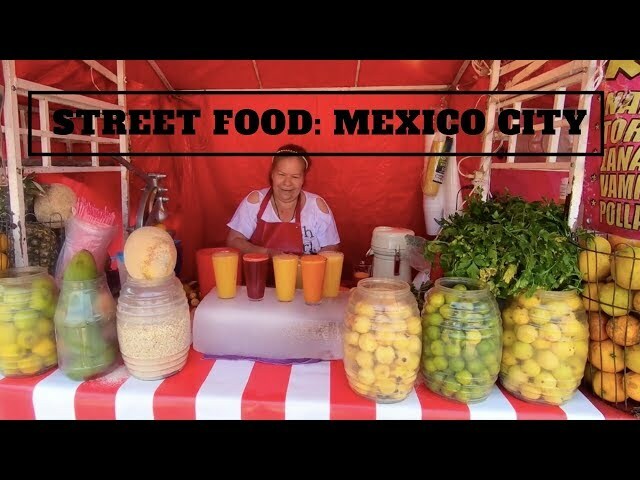 STREET FOOD IN MEXICO CITY: Tamales, Tacos and Tortas ... Oh, my!